I’ve been working on web build for a long time. This project has been a 12 month build and today I started the happy process of pushing the site live. While migrating the site from my staging server to my favourite host WPEngine, I noticed something odd about the directory names of the upload folders. The project started in July, 2014. 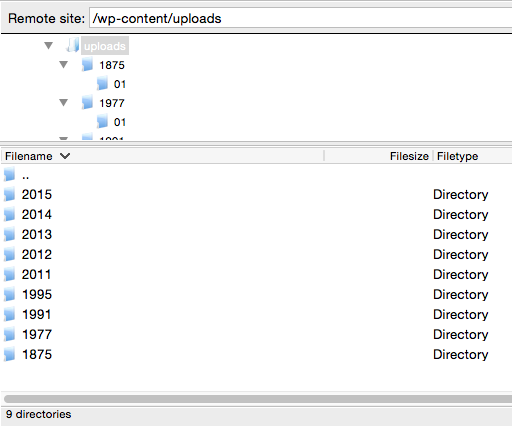 Despite this, the uploads sub directories are named with years going well beyond 2014. At first I thought this must be a hic-cup in server datetime config. Is it possible that during these hacks that these folders were created?